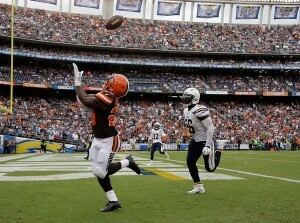 My week 2 value plays were highlighted by JJ Nelson's spectacular game (120 reception yards and 1 TD). His team target percentage rose from 12.8% to 19.4% in week 2 (something I hinted towards last week). The Kansas City Chiefs D/ST recorded 11 DK points; however Marlon Mack and Cameron Brate were non-factors. Overall, a big victory in the value department. 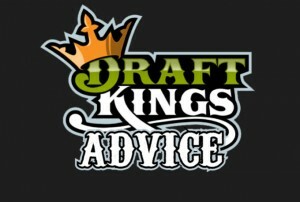 I'm here to help you win cash games and GPP tournaments on DraftKings. Each week of the NFL season, I'm going to publish value picks for the upcoming DK slates. I'm looking for a solid value pick each week at each position. This will help you make room on your team for the more expensive players without sacrificing points with your value picks. Without further ado, here are my week 3 value picks for DraftKings. I will preface by saying that I'm not in love with reaching for a QB this week. If you are willing to dig for a bit of value, Wentz should draw some attention in your DK lineups. The Philadelphia Eagles QB has been impressive through two road games this season (26.4 FPPG average-2nd only to Sam Bradford who has only played one game). Now, the Eagles open up their home schedule against the division-rival New York Giants who are faltering after an 0-2 start. The Giants coming off a short week should be challenged by Wentz and crew (39 pass attempts in week one followed by 46 pass attempts against an above average Chiefs defense). A potential top-tier D/ST, the Giants need to control time of possession more effectively (26:29 this year in contrast to 28:08 last season). If the Giants can't get a running game going along with some semblance of pass protection in place, Wentz has the opportunity to put up monster numbers. Duke Johnson is being incorporated more into the Browns offense. Corey Coleman's injury will mean even more Duke. "The Duke" is a GPP consideration to sync up with a top six priced RB. If you are not in on him this week, consider the ever opportunistic Chris Thompson ($4,500) or a vulture-value RB in Legarrette Blount ($3,900). Considering the Seahawks have scored just 21 total points so far this season, the urgency should be there to put up points versus a sub-par Titans secondary. The Titans vs pass DVOA are 21st ranked, and even further 29th vs WR2 (if you classify Lockett as a slot WR3, he should still be targeted early and often in this matchup). Also a threat in the kick return game, Lockett seemingly has put his leg injury behind him. Tyler Lockett was cooking on Sunday. Consistently open, variety of routes and showed slippery quickness. The Week 3 board starts to reveal players who are banged up with the season well underway. Staying on top of injury reports this week and moving forward will be crucial for DFS success. Clay has been limited in practice throughout the week, but is fully expected to play. The Denver defense has shown an intense pass rush with above average secondary play so the Bills have to produce offense somewhere on the field. Lean towards this being a low scoring game with a lot of check-down passes (Clay was targeted nine times in week 1). I'm going to recommend Hunter Henry again this week in either cash/GPP lineups. He caught all seven of his targets last week. I mentioned last week why his target shares would bump up significantly which they did. I'd rather pay less for a potential top tier D/ST on the road against a banged-up QB (see: Sam Bradford injury status) versus the other alternatives out there for more DK dollars. The Bucs' defense allowed a paltry 20 yards to a decent Bears backfield last week. Run with the Buccaneers this week. Likely highly owned DFS players for week 3: Matthew Stafford, Derek Carr, Ty Montgomery, Jay Ajayi, AJ Green and Zach Ertz. Check back each week for more Draft Kings value picks. Pair these with some of the higher priced players and prepare to rule your DFS contests. For more info and insight, follow us on Twitter: @_knuckleheads and @KJ_Lups.